This Saturday, the finale of the J1 league is set to take place, offering a crucial chance for some clubs to salvage their seasons. Kawasaki Frontale have already sealed the title, but the race for the ACL spot remains wide open. 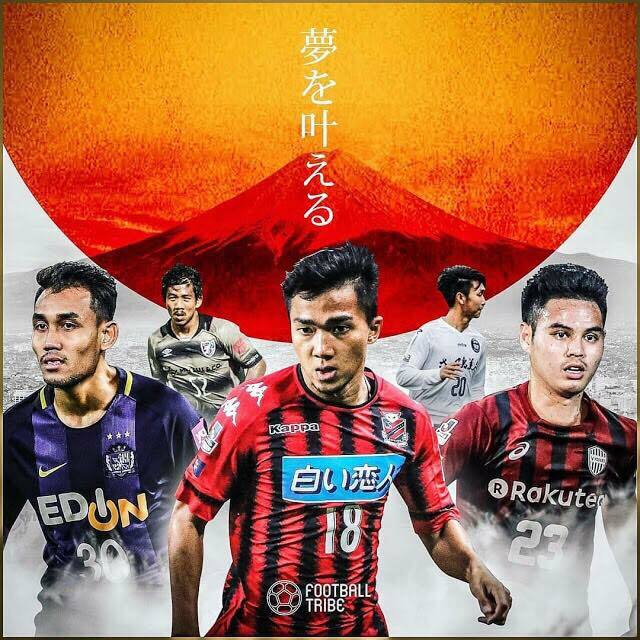 Two of Thailand’s major superstar, Teerasil Dangda of Sanfrecce Hiroshima and Chanathip Songkrasin of Hokkaido Consadole Sapporo, are both set to play a substantial part in this final day drama, as they look to cap of their successful seasons by sealing qualification to Asia’s premier competition. Qualification for the AFC Champions League would Consadole Sapporo’s best ever J1 finish, and will cement Chanathip’s status as a established talent. Consa have never finished in the top half of the Japanese division before, but it is now possible for them to make a maiden appearance in the continent-wide competition. Sitting in fourth, they are one place and one point below the last qualification spot, but they could also be granted entry if Kashima Antlers win the Emperor’s Cup. This season, only four outfielders have played more minutes than Chanathip, and none of them have been involved with more goals than the Thai attacker. Sapporo’s new number 18 has established himself as a main-man for his club, and a ticket to Asia’s biggest club competition would be like a trophy for him. Teerasil Dangda may return to Muangthong next season, and will want to make his mark on J1. Teerasil’s short stints abroad have always ended in failure; 2 dull trial spells with Manchester City and Atlético Madrid were followed by a short loan to UD Almería, that was cut short due to limited game time and Teerasil’s homesickness. Luckily, Teerasil adjusted to life in Hiroshima well. Even though he made 19 of his 31 appearances as a substitute, he seemingly wasn’t too upset seeing as Hiroshima were doing great in the league most of the time. Secondly, he was being kept out of the team by J1’s second highest goalscorer Patric, which is nothing to be ashamed of. Teerasil was made to feel part of the squad and so far he has returned the favour with 6 goals and 3 assists, a decent achievement for any second choice striker. No matter where his future lies, we can say Teerasil first season in Japan was a success, especially if he can secure the 3-time J-League champions the ACL spot. Qualification to the Champions League and success with the national team will help these players dramatically. Chanathip and Teerasil, along with Theerathon Bunamathan and Kawin Thamsatchanan, will be expected to bring their experiences abroad to bolster the War Elephants going into this landmark tournament. The side If they were to have a good tournament with their country, the momentum could well carry into the Champions League, which is set to kick off just a few weeks after they conclude their international duty.